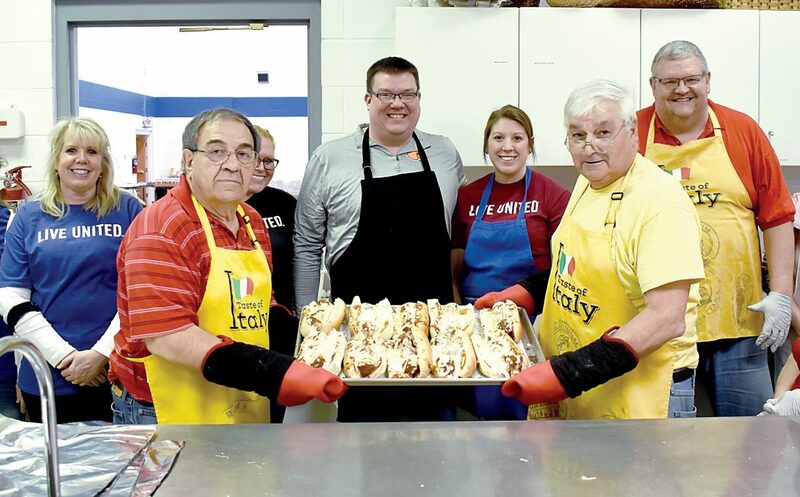 The Inter-Mountain photo by Dan Geohagan The Randolph County United Way hosted its second annual Meatball Hoagie Fundraiser at First United Methodist Church in Elkins Friday. The group was able to sell all 600 tickets that were available, fulfilling their goal once again this year with the addition of 13 additional tickets due to extra supplies. Above, Jim Rossi and Dan Ricottilli present a pan of the hoagies as volunteers gather around Friday.